With its bold 44mm round black ION plated stainless steel case and bezel the GrandPrix watch oozes sophistication with minimal effort. Lying beneath protective mineral glass is the alluring black sunray dial and contrasting silverTachymeter inspired outer dial. 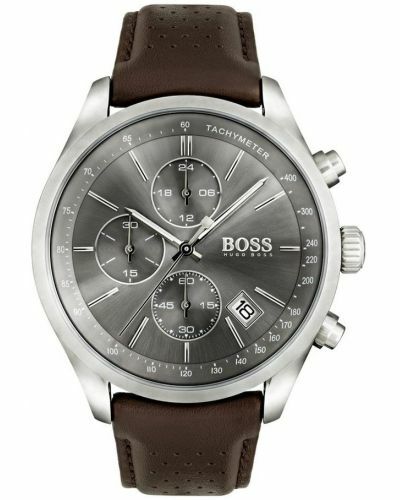 Three sub-dials allow for chronograph/stopwatch functions and measurements up to 30 minuetes alongside an additional dial demonstrating a 24 hour clock. 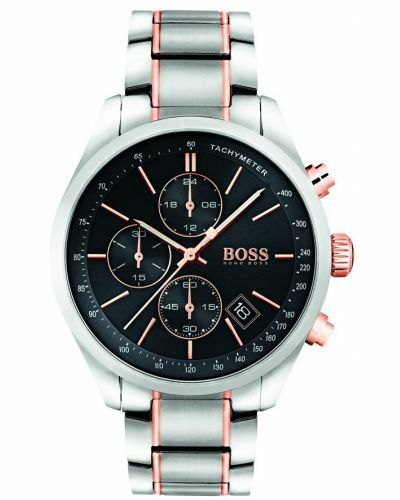 Stunning grey batons and contrasting red second hand enhance the grandure of this already striking watch. 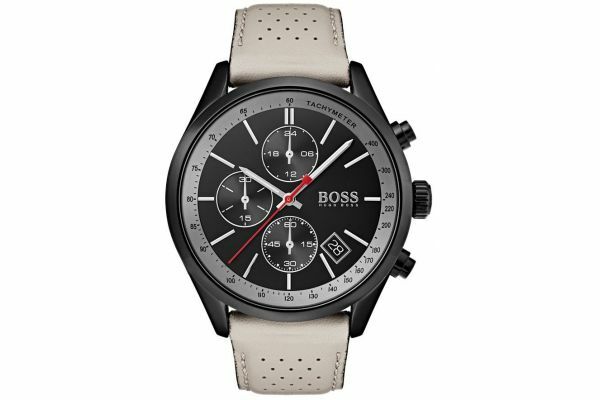 With a sophisticated light grey genuine leather strap and fastened by a black plated stainless steel buckle, the Grand Prix by Hugo Boss is as comfortable as it is captivating. 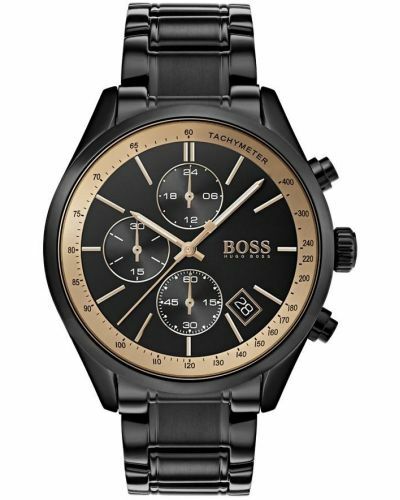 Powered by Quartz movement and water resistant up to 30 meters, the Grand Prix comes complete with a two year guarantee and offical Hugo Boss packaging. 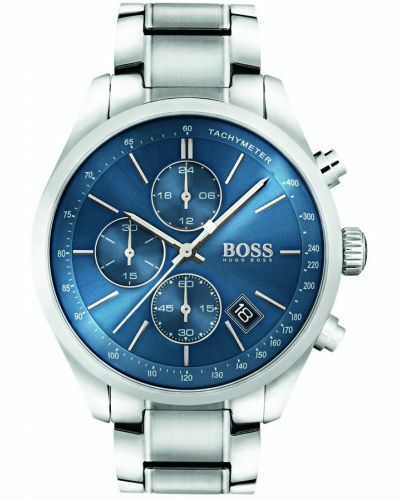 For us to size your new Hugo Boss Grand Prix watch as accurately as possible, please take a look at our downloadable Watch Sizing Guide.